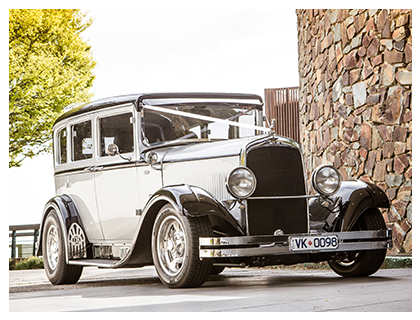 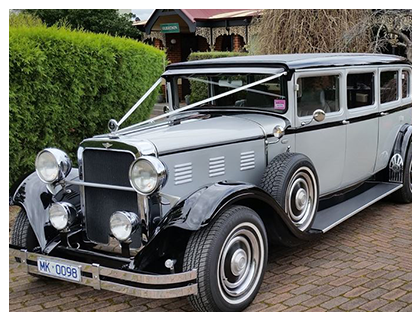 This stunning 7-passenger limo brings a touch of vintage glamour to your big day! 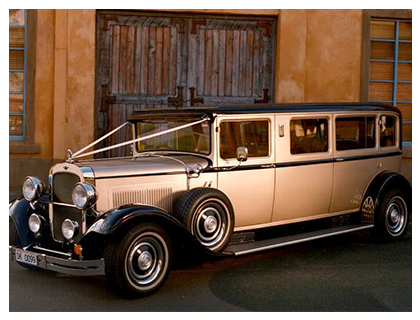 This custom-built gold and black classic is fully air-conditioned and has been modified for safety and comfort. 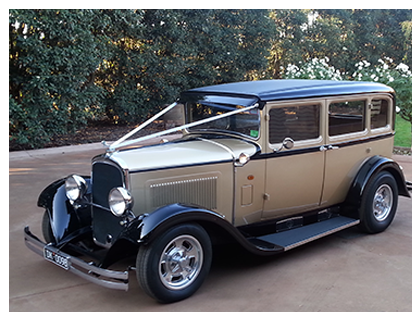 Matches perfectly with the 1929 Gold and Black Dodge Sedan.